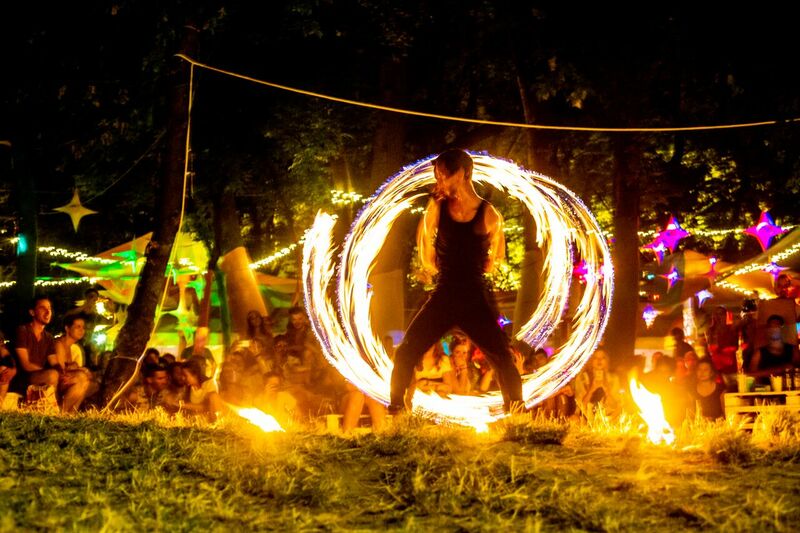 Last week the Óbuda Island in Budapest was once again the setting of Sziget Festival. The fifth-biggest festival in the world welcomed 565,000 visitors on ‘The Island of Freedom’. In total there were over a thousand shows on sixty different stages, including headliners such as Kendrick Lamar, Gorillaz, Mumford & Sons, Dua Lipa, Kygo and Arctic Monkeys. This was the 26th edition of Sziget Festival. 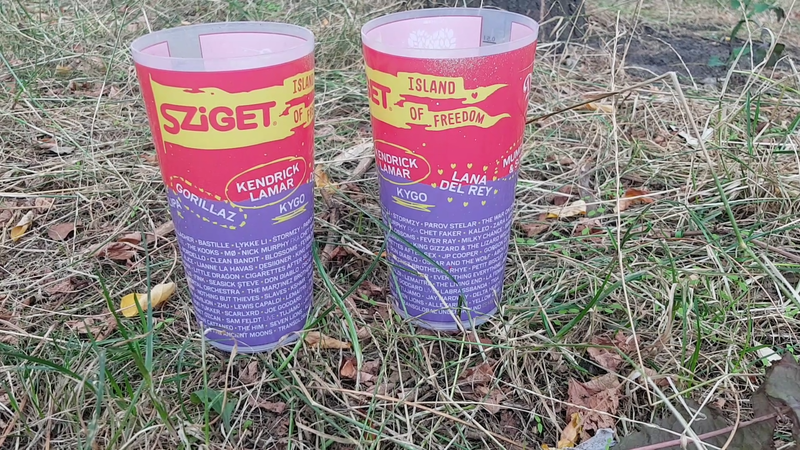 This was Sziget 2018 according to the festival’s visitors. Booking seven days of festival is not easy. Last year this resulted in a lack of major and exclusive acts. However, this year the organisation managed to present a fantastic lineup. 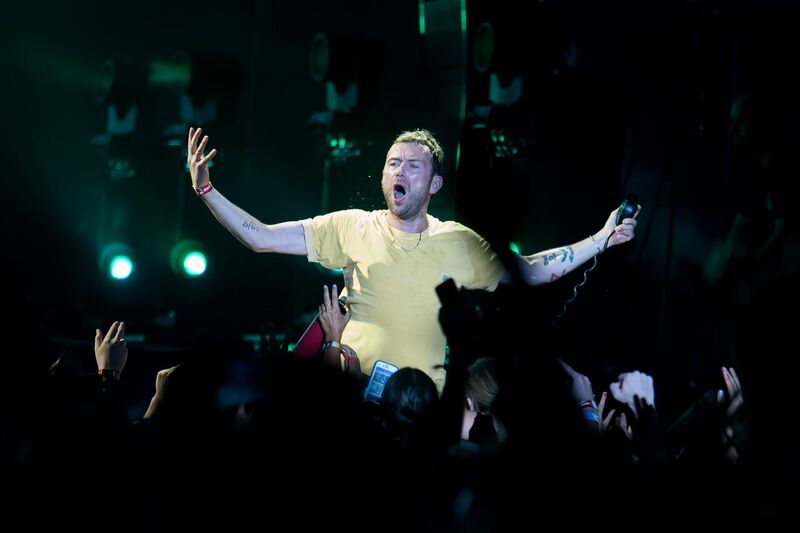 Among others, Lana Del Rey, Mumford & Sons (their only European show of 2018), Gorillaz, Kendrick Lamar and Arctic Monkeys invited massive crowds to the main stage. But with Liam Gallagher, Bonobo, The War on Drugs, Parov Stelar and The Kooks, the second level of the lineup was also outstanding. A Dutch visitor told us: “We barely make it to the main stages, the smaller ones are much more fun. The Europe Stage and Music Box are our favourites. Every time it’s something different there, and it’s always fun.” Apart from those there were also the House of Hungarian Music, Magic Mirror, and the Reggaestage. It was a huge and varied musical lineup, which invited many people to dance. Something different after all those musical highlights? Check! Like at previous editions, Sziget’s side programme was enormous. A small selection: you can go to the cinema, play games at the Travelling Funfair, watch a dance show or opera, enjoy a circus act, and follow workshops. In the side programme it also becomes evident that Sziget is a strongly engaged festival. Under the name of ‘Love Revolution’, the festival touches upon subjects as feminism and climate change. “They have everything here, it’s bizarre. Just this morning I followed a yoga workshop on the beach,” says Chloé from France. 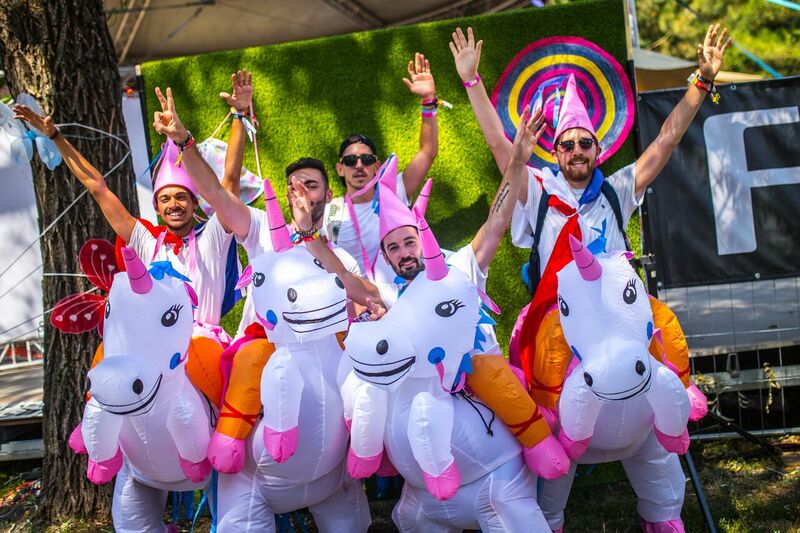 You will not get bored at Sziget. 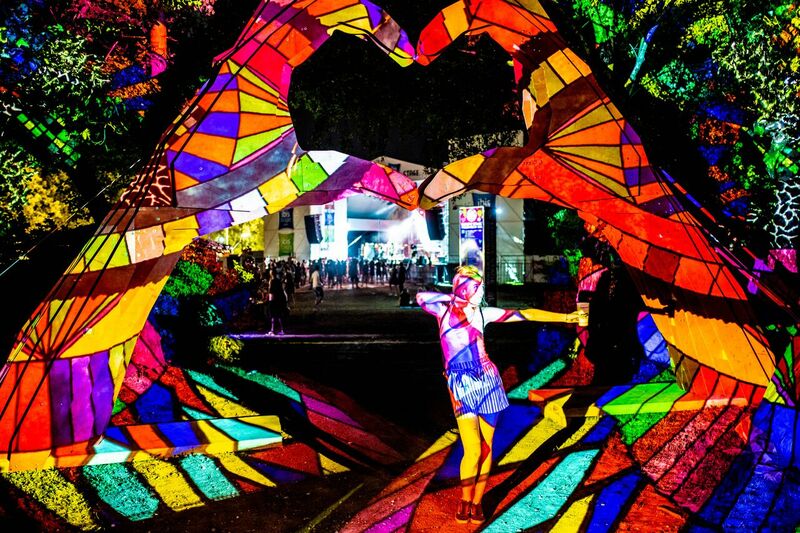 Sziget is famous for the atmosphere of love and this year was no exception. Many first-time attendees noticed this quickly. “It’s very relaxed. It’s easy to talk to other people. The international audience also means a certain good atmosphere. I have also not seen any fights,” observed someone. “I came here on my own, but that is not a problem at all. You can easily make contact with others,” says Karlijn from the Netherlands. At this festival it has almost become normal that you go back home with ten new friends from all over the world. The organisation also finds this atmosphere important. At special love parties at the Main Stage everyone had to cuddle each other, and there are signs saying ‘Take care of yourself and your mates’. Marlieke and Catrina also noticed this: “It is nice that you can be yourself here and that no one will find you weird.” And that is right. Glitter girls and onesies mingle on the Hungarian island and no one will give it another thought. Magnificent! The entire Óbuda Island is home to Sziget and so there is a big area to decorate. People are overwhelmingly positive about how this turned out. Without thinking twice some tens are given. “It’s beautiful, decoration everywhere. At night there are several areas lit up. There are nice paths and corners on this festival site,” says Olivia from New Zealand. Her friend from Austria adds: “It could be a little less dusty, but there is not much you could do about that unfortunately.” The critical attendee also missed some more decoration on the stages. Food and drinks come in large quantities at Sziget. Nearly all drinks are bought per half liter, and the food provides a good ground for this drinking. “There are now quite a few vegan and gluten free options, they didn’t have those when I was here a few years ago,” one visitor observes. Most people do start to miss variety and vegetables after a day or five. Thankfully Sziget is literally in the centre of Budapest. When you do not have that much time, there are supermarkets both on the festival grounds and just outside. New this year: hard cups. You buy a cup once, and use it the entire day. You can also donate them to a good cause. Apart from that, the newly introduced payment method with a chip in your wristband was a huge success. “It’s very fast, and now I can’t lose my money anymore,” says Jeff from England. There are many roads leading to Sziget. And many trains as well. For many people, the Sziget Express train was a highlight in itself. For those who have less time, Budapest is easily reached by airplane. Getting to and away from the island is easy: the special Citypass provides unlimited use of public transport in Budapest and a discount for museums and bath houses. On the festival grounds themselves, the logistics are also fine. Considering there are about half a million people at the festival, it is remarkable that the queues in front of showers and toilets are not longer than anywhere else. People with moving-in tickets (which allows you to enter the grounds one, two or three days early) were especially happy: they could easily find a nice place to put up their tents and they were able to adjust to the site before the crowds started flooding in. 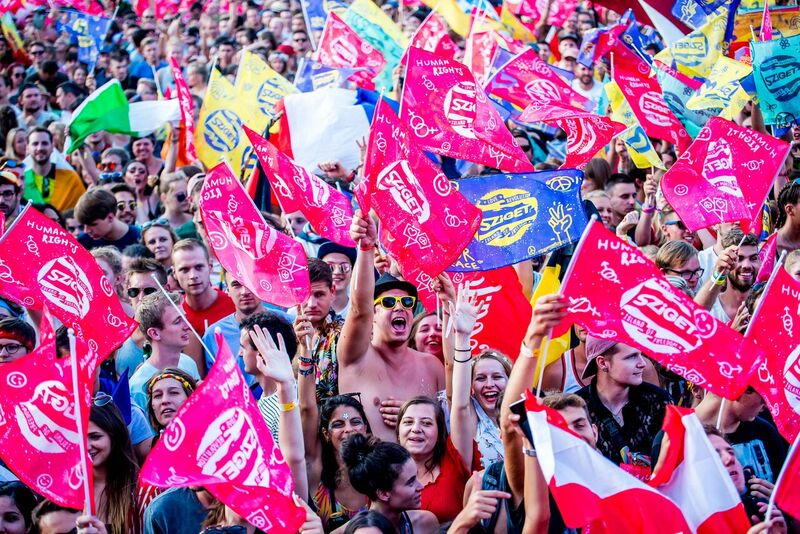 Sziget will return in 2019 for its 27th edition. The festival takes places from August 7 till August 13. Note for the observant reader: the duration of the festival is the same as previous years, even though the organisation communicates otherwise. This way the organisation wants to prevent the misconception regarding the last night of shows, which isn’t a full festival day. This summer, Festileaks is reporting from the biggest festivals in Europe through our Festival Reports. At every festival, we ask over 100 attendants to rate their experience in six fixed categories, and present the averages. In this way, we can conclude at the end of the year which festival scores best in each category. You can check our previous Festival Reports here.